This glorious and dazzling bespoke engagement ring features a unique, opulent design created in collaboration with a client. A spectacular Round Brilliant Diamond is teamed with two lovely Pear cut Diamonds set an elegant curved scroll of solid Platinum using this beautiful and fluid ring shape as a clever setting for this trio of dazzling Diamonds. 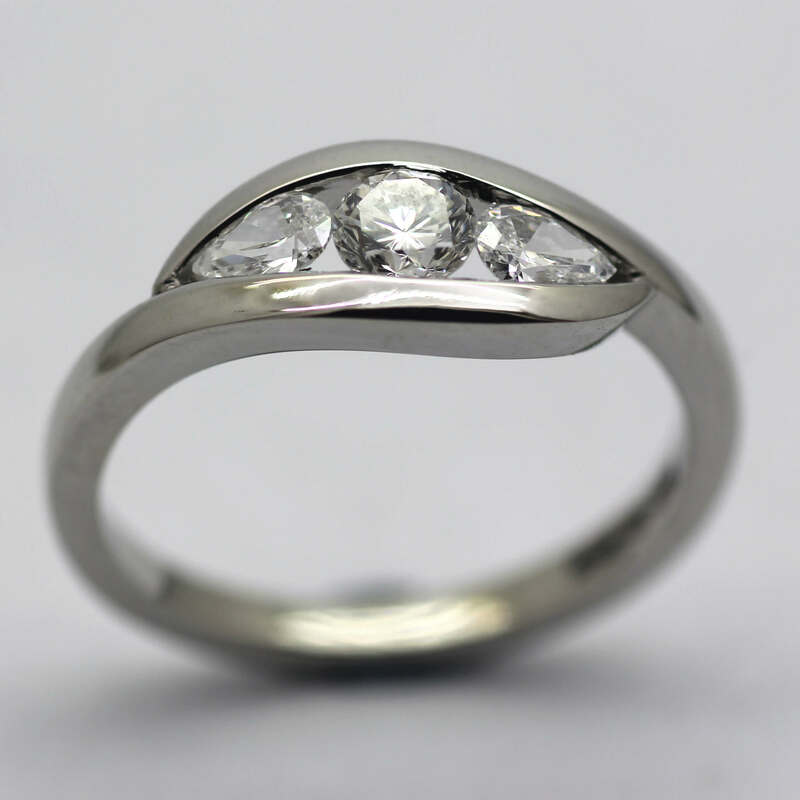 This unique commissioned piece teams sleek contemporary design with a timeless sense of elegance to create a magical one of a kind engagement ring. This beautiful Diamond and Platinum custom made engagement band is finished with a glossy polished effect by our master Goldsmith Julian Stephens, to create this luxurious, contemporary engagement ring design which radiates a sense of timeless elegance.